The look and feel of the Web has come a long way from when it became highly accessible and part of our everyday life a few decades ago. If you want do more of remembering or looking back to the history of the web and web design, here is a full article about it. Functionalities and features have evolved as innovations in speed and design made the online experience a conglomeration of multimedia and visual aesthetics. 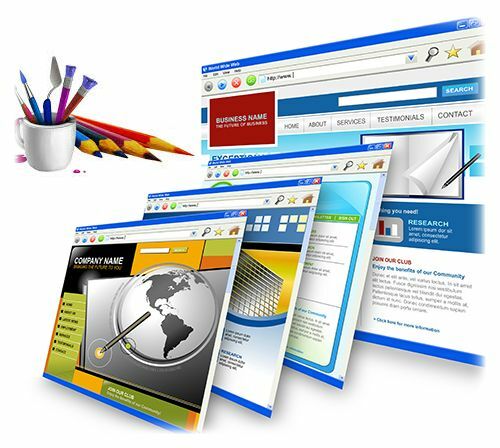 In fact, we all remember a time when it seemed that web sites were designed to showcase just about every new trend in images, layouts, and multimedia add-ons. As the online experience has shifted from the desktop to mobile devices, web design trends have also evolved in order to keep up with how users are accessing the Web. Bulky layouts, excessive buttons, and too much video and images often take longer to load on smartphones and tablets. Complicated web designs are out, and the focus these days is on creating web spaces that are minimalist, functional, but with immediate impact. The fight to be on top of the search engine results also has a direct influence on the techniques used in web design, as discussed in this page. What web design trends are being forecast for 2015? Responsive design. As mentioned earlier, Web users are now accessing their favorite web sites not only on desktops and laptops, but also on smartphones, tablets, and other handheld devices. Web design and WordPress themes that save time and effort by combining the desktop layout with mobile responsiveness will continue to be the trend next year. Stakeholders know that responsive web designs and layouts will eventually be the norm as mobile Web penetration increases further. More scrolling, less clicking. An offshoot of the mobile user focus is the shift to designs that require less clicking to different pages, and more information being made available by scrolling. It has become an inconvenience for contemporary site visitors to have to go through page after page just to get the information they want to view. Instead, web designs and layouts now attempt to deliver as much as possible in one single page for quicker access. Typography dominance. While typographic art used to be a little expensive for most smaller and medium-sized businesses, they are now widely-accessible and at price ranges that are more affordable for web developers. Google Fonts and a host of apps have also made type kits free or ridiculously affordable. Expect typography to be the hot web design trend in 2015 as elegant, high-quality fonts take centerstage. Increased use of card designs. Because ‘card designs’ are simple, responsive, and allow more information in a single page without looking cluttered or disorganized, they will continue to be a popular web design trend next year. They are very adaptable to mobile sites, and versatile enough for a rick desktop viewing experience. Many popular news and information websites with crowd-sourced content now make use of the card design, and expect more to follow. Personalized content. When done tastefully, using cookies to track repeat site visitors and offering content based on their past browsing or search history proves to be an effective method of connecting with the audience and personalizing their experience. Many popular sites have successfully integrated this into their designs, and personalized UX will continue to grow over the next year. The best way for you to search for inspiration or ideas for your own web design efforts is to explore the Internet for websites and blogs making use of smart combinations of elements to deliver. If you experience any issues with your Internet service while browsing, call the phone number for Comcast found here for immediate help. ← Our Seniors Have Gone Techy!